I've been single for 99.9% of my life so I'm well acquainted with how boring things can be sometimes when you're not in a relationship. But to be fair, there are a lot of things you can do to further your self growth and to have fun when you're single. I love the independence and freedom that you have when you're single. I've been a little bit afraid to give it up which is why I've avoided potential relationships for years. Bake your favourite sweet treat - mine is meringues! Learn to make DIY Lush products so you can pamper yourself on a budget. I may or may not have bought a 6 kilo bag of baking soda and a 4 kilo bag of citric acid. Lets face it, I overdid it a bit. Write a letter or postcard to a friend - they can live far away or close by, it doesn't matter. 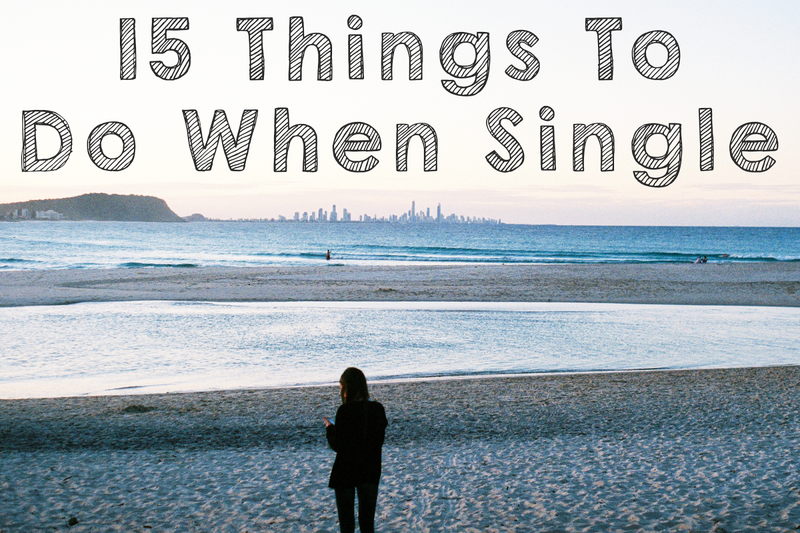 Go to a concert by yourself - make friends with people in the line as well as the ones seated next to you. Take some self portraits. Learn to use that self-timer and document your amazingness. Start an Art Journal - a lot of people are intimidated by this, but the thing to remember is you don't have to like your pages - as long as you got out the emotion you wanted to, then you succeeded. See a psychologist - work through some of those old issues you buried and never dealt with. You'll gain some great knowledge and insight, as well as learn invaluable skills that will come in handy the rest of your life. It's also a good place to rant and express your feelings if you don't have a companion to open up to. Have friends over for a movie night - watch all the classic chick flicks like Mean Girls, Clueless, Bridget Jones's Diary and The Princess Diaries. Watch a concert movie and dance around your room like a crazy person. Recreate an old hairstyle from a previous decade. I decided to try out Lizzie McGuire's crimped hair and it was quite hilarious. I think the big 80s hair would be a fun one to try. Talk out loud to yourself. I'm a big fan of this one. People in relationships have someone to offload their feelings and thoughts onto but if you're single it's quite likely that you don't have that. It's just good to talk out loud and get that energy out of your body. I really enjoy making audio diaries - simply lying in bed at night and talking into my iPhone. I can rant and it's really odd to listen to that stream of consciousness. I've made over 40 audio diaries now and it's amazing to see how much I've changed over the last year. Overcome a fear. We're all scared of things and this is the perfect time to conquer that fear. Learn to love yourself. Enjoy spending time with yourself and realise that you're a fun, brilliant person. Become a better friend, neighbour and family member. Invest time into those relationships.